Recently on my morning commute, I’ve been catching up on the Washington Post‘s new(ish) podcast, Constitutional. The podcast’s third episode, “Nationality,” traces the story of Wong Kim Ark, a man born in San Francisco to Chinese parents whose Supreme Court case determined that being born in America made you an American citizen. And while that brief summary makes it sound like his story is a victory for the foundational ideals of America, the details paint a much less satisfying picture. It’s no secret that America is historically a deeply racist country, and that efforts to make forward progress are continually contested making victories hard-won. New Super-Man 16 reminds us how casually pervasive racism used to be, but also provides a measure for some of the progress that has been made. But while New Super-Man 16 shows us the ugliness of the past, it also stands in contrast to that ugliness. 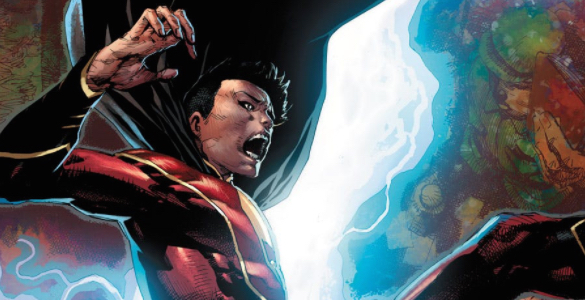 New Super-Man is a book written by an Asian-American, starring Asian characters, telling a story melding elements of superheroes with elements of Chinese culture. It took 80 years of DC history for such a book to exist, but exist it does. 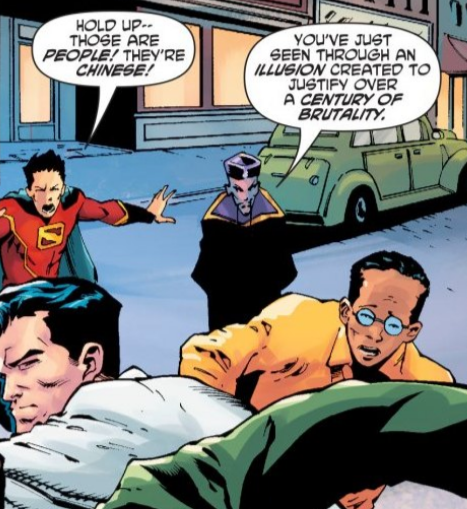 Yang doesn’t often dwell on the past in New Super-Man, but when he does, it’s a quietly effective reminder of how far we’ve come, even while we have a long way to go. Slam Bradley actually became a key part of Catwoman’s supporting cast last decade, being introduced in Cooke’s Selina’s Big Score and being a big part of Brubaker/Cooke/Stewart era of Catwoman and onwards. The Brubaker/Cooke/Stewart era is one of the all time great runs of any book – an essential part of early 2000s comic history. Highly recommended.